In an effort to fight leptospirosis, Israel adds clean water into several northern streams. Israel's Nature and National Parks Authority, Water Authority, the Mekorot national water company and the Mey Golan Water Association, are preparing to add clean drilling water into a number of Golan Heights streams. The decision follows discoveries of unusual pollution and leptospirosis (achberet in Hebrew) in the streams. The flow is intended to increase flow rates in streams with clean water, thereby reducing pollutant concentrations in streams that were closed due to abnormal samples. The project will start immediately and is expected to continue until after the holidays. 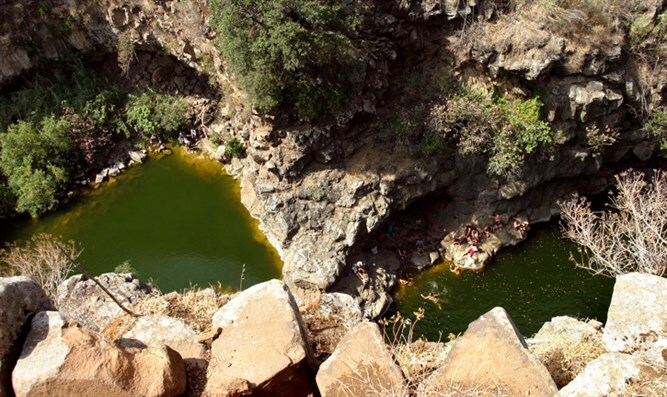 The Nature and Parks Authority stressed that other than the streams which have been closed, all other water sources in the north are permitted for bathing. The Authority and the Health Ministry and will continue to test rivers for water quality. On Wednesday, the Health Ministry added the Magrase Nature Reserve, Gilbon Stream, and Jordan Park to the list of off-limits sites, which already included the Zavitan, Zaki, Yehudiya, and Meshushim streams. The Health Ministry also requested that individuals with a fever above 38 degrees (100.4 Fahrenheit) who immersed in one of the affected streams since July 1, 2018 and fell ill less than 3 weeks ago, contact their family doctor.